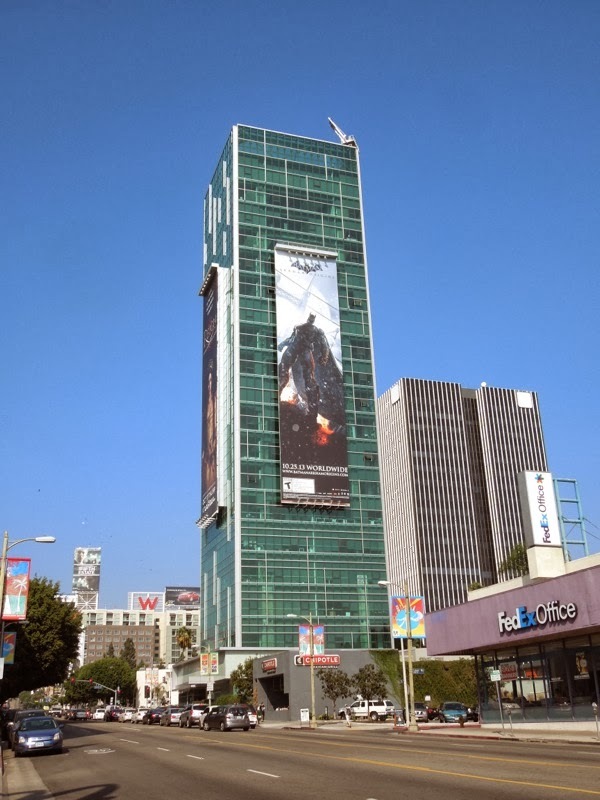 The Caped Crusader is usually watching over the streets of Gotham City, but this month Batman is towering over Sunset & Vine in Hollywood. The iconic Dark Knight is back for another video game installment (just in time for the gift-giving season), this time called Batman: Arkham Origins. 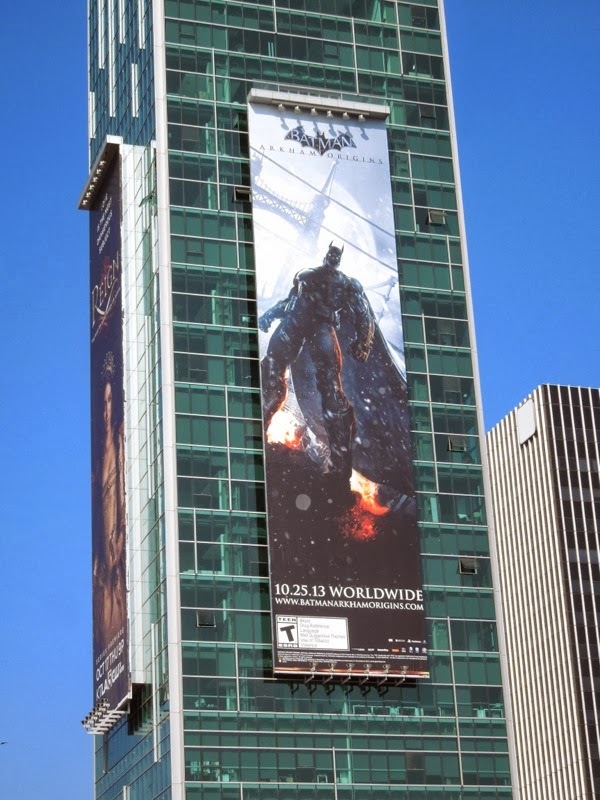 This new game features an original prequel storyline taking place in an expanded Gotham City years before the events of Batman: Arkham Asylum and Batman: Arkham City. 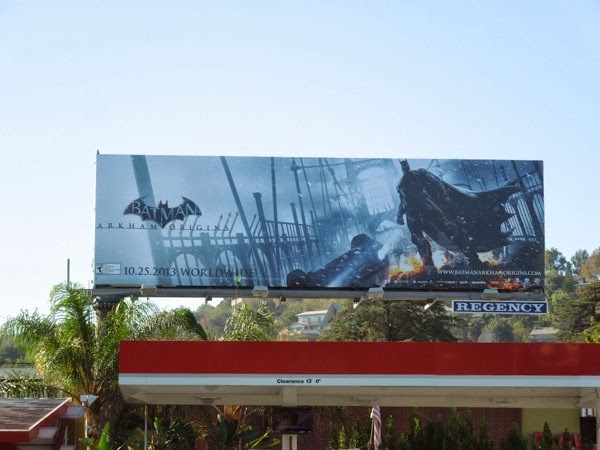 You'll play a young and raw crime-fighter, taking on the most vicious villains and assassins on a path to become the Dark Knight that everyone has come to know and love (or fear, depending on whether you're on the side of good or bad). 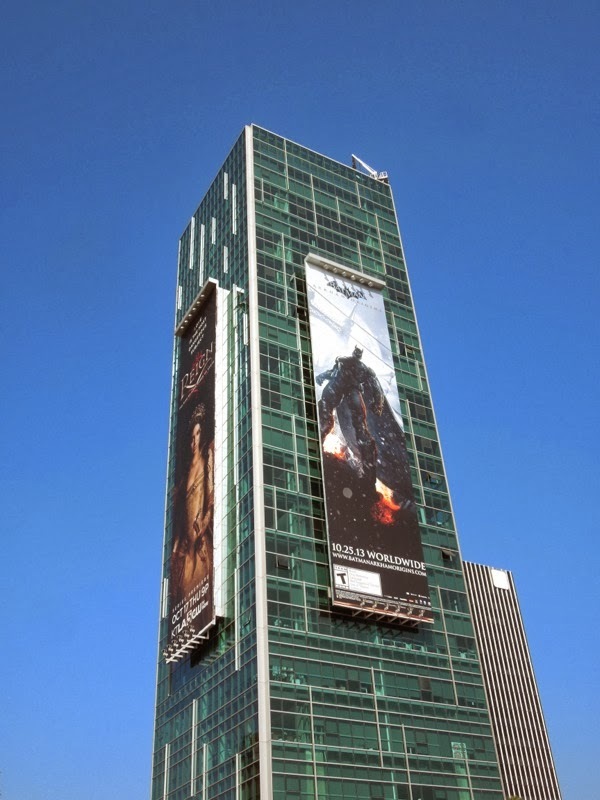 This giant vertical billboard for the video game for the popular DC Comics character was spied standing tall on the side of L.A.'s Sunset Vine Tower on October 23, 2013, whilst the standard landscape billboard was spotted along Ventura Boulevard in Sherman Oaks on October 30, 2013. 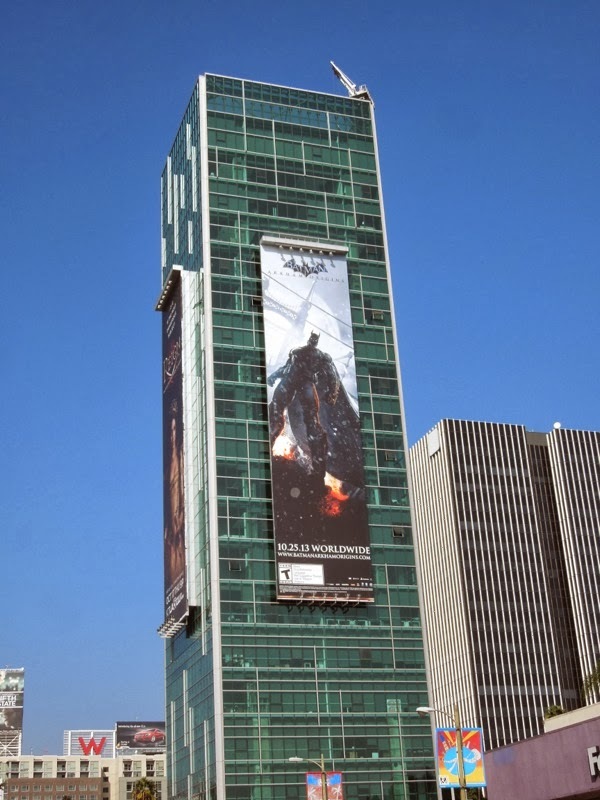 If you like these ads, be sure to also take a look at these video game billboards for Batman: Arkham City from 2011, plus check out the Dark Knight Rises movie billboards too. Plus if you're a fan of Batman, be sure to check out all these Dark Knight Rises costumes and props on display.